We offer a wide range of premium quality Electric cable making machine Our qualitative range complies with the most stringent quality parameters prevalent in the industry. For these plants manufactured by us, we use top grade steel which guarantees sturdy construction and lasting performance. Our plants are great values for their operational ease and energy efficiency. We offer our plants at industry leading prices. Garg Engineering Works are one of the leading manufacturers and suppliers of Machinery for Cables and Wires. 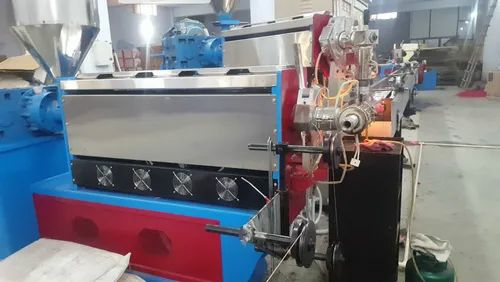 We offer a comprehensive range that includes Wire and Cable Making Complete Plant, Clock Anti Clock Standing Machine, Wire & Cable Extruder Machine, Wire Armoring Machine, Contact Wire Machine, Cable Laying Machine, PVC Compound Machine, Twisting Machine, Catenary Machine, Stranding Machine, High Speed Bunching Machine, Rewinding Lines. With our rich industry knowledge, we have created a comfortable niche in the domain of wires and cables machinery industry. Our advanced manufacturing unit has maximum installed capacity for bulk production. Our large production capacity, Total Quality Management, convenient payment mode, stable financial position and customization capability, positions us at a vantage point in the industry and creates a sense of trust among our wide client base. Furthermore, our team of dedicated and committed professionals is highly experienced in their respective fields work towards effectively meeting the organizational goal of total client satisfaction through quality in goods and services.